What is a Subject Matter Expert (SME) and how do you become one? 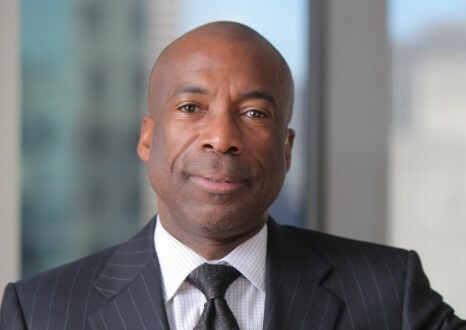 Douglas Harris serves as a Managing Director for Promontory Financial Group. He is responsible for counseling financial services companies on corporate governance, internal controls and strategic matters. He advises clients on regulatory matters involving risk management, compliance, investment products, derivatives and capital markets. He has also served as Senior Deputy Comptroller for Capital Markets at the Office of the Comptroller of the Currency, where he was responsible for the regulation and supervision of national bank capital markets activities, including trading, dealing, and investing in derivatives and emerging markets instruments, as well as the development of risk management policies and guidelines. Doug was the principal draftsperson of OCC Banking Circular 277, “Risk Management of Financial Derivatives,” the first bank regulatory guidance on managing the risks associated with derivatives, capital markets, and trading activities. He also served on the Inter-Agency Task Force on Bank-Related Derivatives Activities and as senior staff member of the President’s Working Group on Financial Markets. Doug earned a J.D. from Harvard Law School and an A.B. (with honors) from Harvard College. A subject–matter expert (SME) or domain expert is a person who is an authority in a particular area or topic. The term domain expert is frequently used in expert systems software development, and there the term always refers to the domain other than the software domain. SME Role: Subject Matter Expert. The Subject Matter Expert (SME) is responsible for defining the business processes, the business policies and the application requirements. He leads the business rules acquisition activities as a domain expert and uses the Rules Management Application as reviewer.